Move over, banks. The finance system as we currently know it might soon be a thing of the past. As blockchain technology is shaking up the finance sector, soon enough the current banks might be replaced by something new. Something bigger, more international and more innovative. Many businesses have already recognized the inevitable change in the finance sector and are ready to transfer to the new-age banking world that is digital banking. Now, there’s nothing wrong with the traditional form of banking, per se, but for those working internationally or remotely in another country, the fees and the complications really start to add up. As the traditional system of working fades away, so will the traditional form of banking. Because, let’s face it, no one wants to go through the hassle of figuring out the best bank for overseas payments, transfers, currency conversions and so on. Especially as a business, figuring out how to pay your remote workers can be a pain. Internet gave us powerful ways to share and access information. But Blockchain now gives us a powerful way to share and access value. The way blockchain works, as a digital ledger, sharing and accessing value becomes easier than ever. And if banks can’t compete with the new and innovative ways of providing value (through cryptocurrency, digitally, etc.) consumers will switch to a service that can. The same applies to the current banking system. So, with that said, here is a brief overview of some of the digital banks out there you might want to switch to as a small business owner. Revolut is a digital UK bank that launched in 2015 with the aim of “refusing to settle”. At its core, Revolut’s main product is a banking payment card that prides on adapting to your needs. What this means is that they offer low-fees when spending money abroad, a fee-free global spending at the interbank exchange rate, cryptocurrency trading accounts, and many other financial services. They offer 3 types of accounts: Standard (free), Premium (€7.99/m), and Metal (€13.99/m), targeted for personal individuals. And, they also offer business accounts which focus on small businesses. The difference is that a business account offers multi-currency accounts, instant money transfers, free international money transfers, syncing transactions into your favorite accounting platform and much, much more. How have they achieved so much in a mere 3 years? You might have already heard of Transferwise since it’s one of the popular methods to get paid as a freelancer, but did you know that beyond sending and receiving money – they also function as a full-blown digital bank? What started from the frustration of losing money on international currency transfer, is now a company with over 600 employees and over a million customers who send more than a total of $1 billion dollars monthly. A borderless account – which boasts to being 8x cheaper than high street banks and holds and converts 40+ currencies. 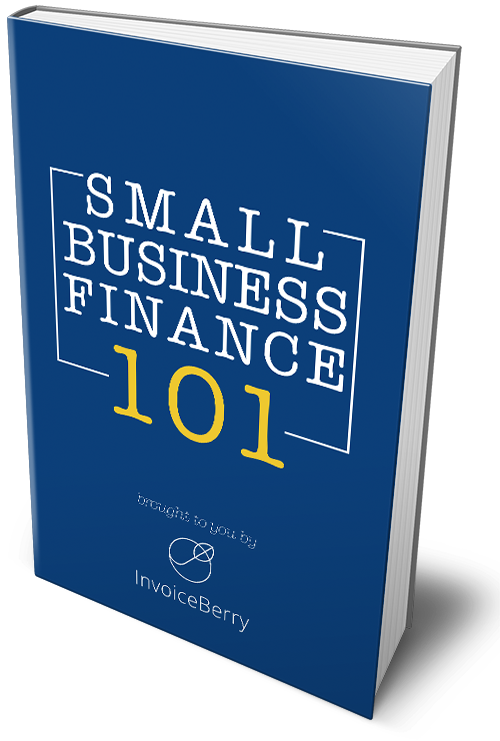 And a business account for SMBs, as a better alternative to international banking accounts. The business account is ideal for those dealing with clients all over the world. With its batch payment tool and fee-free transfers – managing your money digitally becomes easier than ever. Aside from that, they also offer a TransferWise Mastercard. Through that, you can spend any currencies in your account all over the world for low conversion fees and zero transaction fees. All in all, TransferWise is the closest thing to fee-free currency exchange. And with its transparent pricing system – it’s perfect for those traveling and dealing with international transfers. Atom Bank is UK’s first app-based digital bank that launched back in 2014. To this day, they pride themselves on not having any branches and being different from the old banks. They’re transparent, innovative and low-cost, putting customers at the heart of everything they do – literally. What makes Atom different from the other banks is that they give their customers a unique and personalized brand. Meaning, they get their own bank, their own logo, their own color palettes and more. This way, Atom is uniquely customized for each of their customers. They’re mobile-first, hip, easy-to-use, and have a flair for design. After securing their banking license in 2015, Atom raised over £83 million in venture funding in 2017. Their total funding, meanwhile, increased to £200 million. They also began lending to businesses in 2017 and so far, have lent over £150m to business clients. Monzo is another digital UK bank with more than a million customers using their debit cards and an app that lives entirely on your phone. Unlike the other banks, Monzo has a relatively simple approach. It’s a UK only bank account that you use from your phone. They now have more than a total of one million customers and their app supports both Android and Apple. Monzo is for those who prefer things simple – a physical Mastercard and a feature-packed app full of many benefits. The card itself is no different to any other bank card in your wallet. Instead, it’s the user experience behind the app and how well designed it is that makes Monzo so special. All updates on the app are instant, it provides useful notifications, and you can analyze your spending on a deeper level compared to most traditional banks. Tide.co is a UK-based, mobile-first banking service targeting small and medium enterprise customers. Though Tide launched in 2017, they already have more than 35,000 customers and passed £1bn in transactions in March. What sets Tide apart from other banks is their focus on small business owners. If you’re starting your own small business, Tide’s business account might be for you. They also charge only for what you use – no hidden annual or monthly fees or anything. A simple what-you-see-is-what-you-get pricing model. Their unique selling proposition has to do with small businesses and saving time. People who run small businesses waste time with crappy administrative tasks, so we work out smart ways with software to automate these things. So, in short, Tide helps small business owners automate the accounting and the administration side businesses efficiently to save time. Finally, N26 is a German direct bank founded in 2013 that offers their services throughout most of the Eurozone and is planning to expand to the UK in and the US in 2018-2019. N26 offers a free basic current account and a Debit MasterCard for their customers. Their two accounts types are Personal (€0.00/m) and Business (€9.90/m). The difference here is that the business account also includes free withdrawals worldwide and an insurance package, in addition to free ATM withdrawals in euros and free payments in any currency. Aside from that, they also offer financial services (Google and Apple Pay) and all the essential app features (security, notifications, overview, etc.). So far, despite that, they offer international transfers into 19 foreign currencies, N26 is mostly focused on the Eurozone. Because of the EU banking license and the ability to operate your account from a laptop or a PC – N26 is ideal for usage in the EU. Last but not least, Starling Bank is a UK digital mobile-only challenger bank founded in 2014. They wanted to build a product that made money management simple. And they managed to do just that with their digital bank accounts that make banking quick, easy, and paperless. Since their funding, Starling received an investment of up to $70 million and their banking license in 2016. Starling boasts on having an app with all the latest features and more. This includes instant notifications, easy money management and finances overview, joint accounts and more. For businesses, Starling offers free business accounts (if you have fewer than 10 employees), no fees and no unnecessary waiting – just a free and a straightforward business account that can be set up in a few minutes. All in all, digital banks are still in their early stages. However, what we’re witnessing now is a new and an innovative way to manage your money. The future of the banking industry will depend on convenience and providing value. This is something the current banking system struggles to provide. Most, if not all, of the current digital banks already provide little to no fees, instantaneous notifications, quick sign-ups and more. All this and more that can be done from your mobile phone. Though the current old-school banks can somewhat compete with the above services (through online banks, etc.) – the difference is day and night. These kind of banks are targeting the vast majority of people. While digital banks have the luxury of being able to focus on specific people (e.g. business owners, freelancers, etc.). As a result, the services they provide are custom tailored to their requirements and needs. All that’s left now is selecting a digital bank based on your requirements and needs.